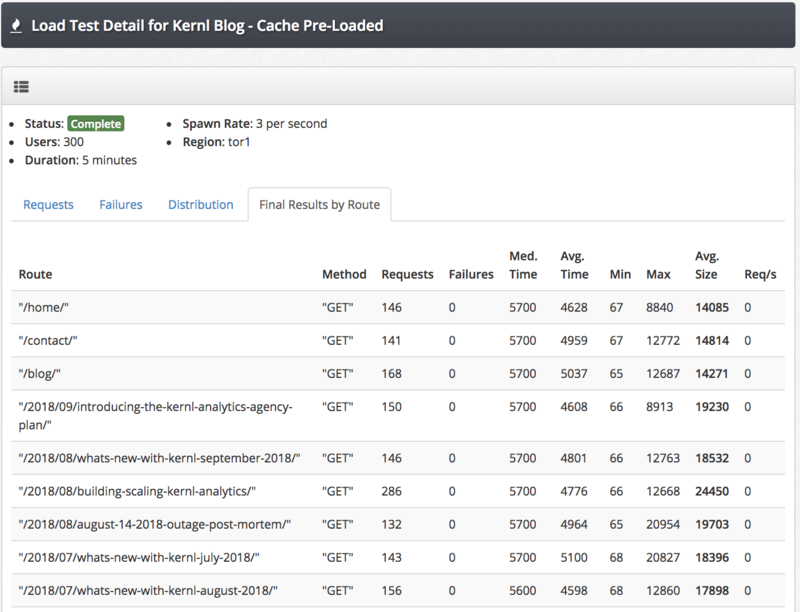 Kernl WordPress Load Testing allows you to quickly and easily test your WordPress performance. With a few simple clicks you can easily answer questions about how your site performs under heavy load and where things start to fall apart. 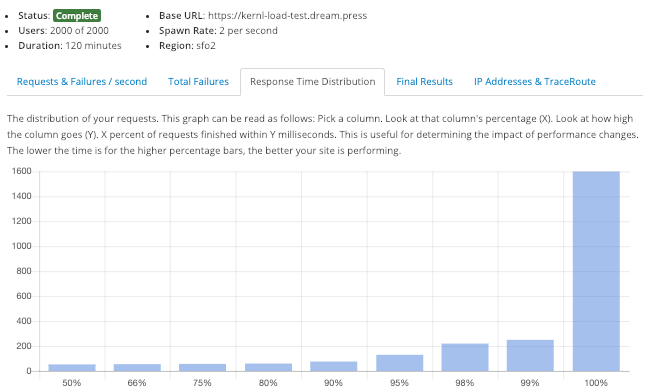 When your WordPress site is under heavy load performance characteristics change. Know with confidence how your site will perform and how long requests will take to complete. Use this information to justify spending on more hardware or software performance optimizations. At the completion of your load test Kernl gives you a detailed route by route breakdown of performance. This allows you to focus your performance efforts on pages where that didn't perform so great. 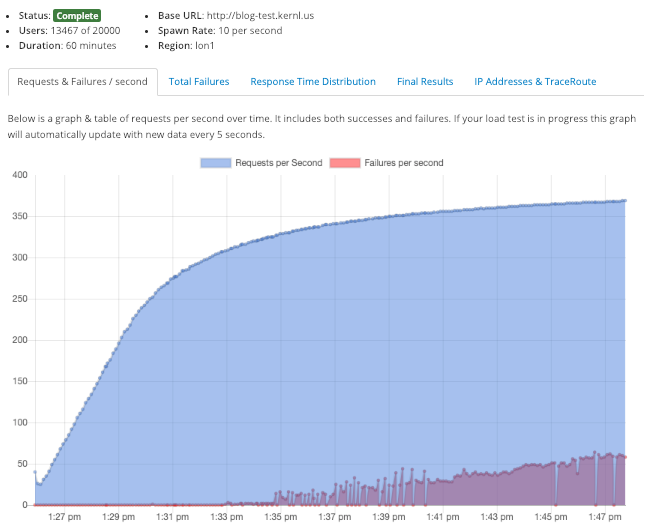 While your WordPress load test is in progress Kernl will stream real-time data to the load testing graphs. You can use this data to make decisions about whether you should continue your load test or stop it prematurely.